The Seattle Center Monorail is the nation’s only completely self-sufficient public transit system. Our trains carry over 1.5 million passengers a year. The Seattle Monorail has been a Seattle icon since the 1962 World’s Fair. 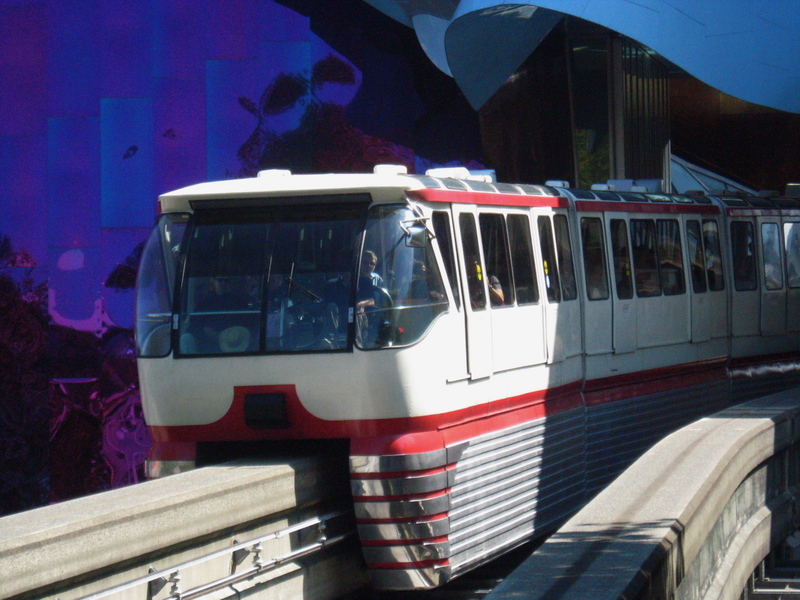 Many people believe that the monorail is owned, managed and operated by the City of Seattle. However, unlike Metro, Sound Transit and the trolley , the monorail is a privately run business with independent leadership and staff. Not only is the monorail not government, subsidized, but in fact, it makes money for the city. The Seattle Center Monorail system uses 62 prestressed concrete piers to support the two beams which the monorails ride upon. The trains can cover the 1 mile distance at a top speed of over 40 miles per hour. Riding on 64 rubber pneumatic tires, the monorail runs on 700 volts D.C. power obtained through contact rails on the inside of the beam. 16 load-carrying tires ride on top of the beam, and 48 guide tires grip the sides of the beam.